Since being busy with Brandstorm, this is the first event I have attended in a looong, long time! 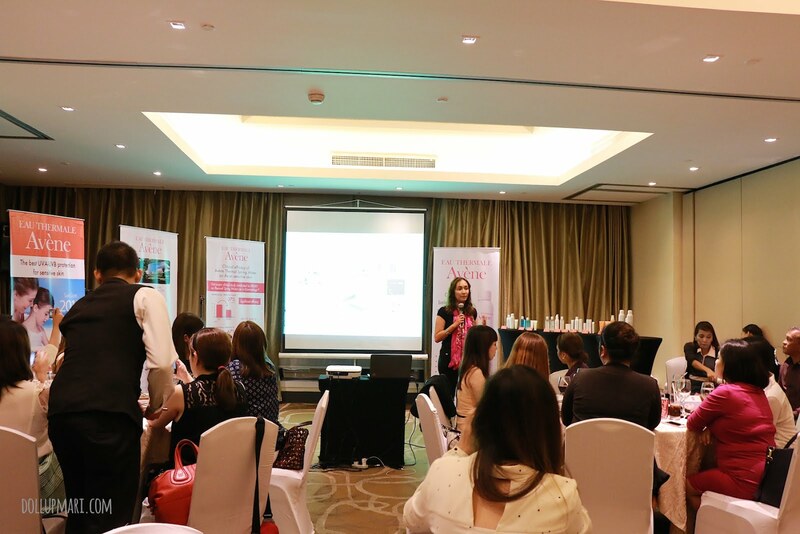 I had to forego two Maybelline events due to being so busy with Brandstorm, and some other events as well. 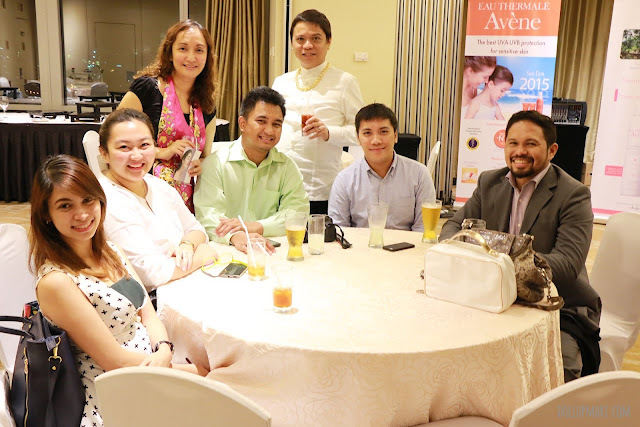 Thankfully, this event by Avène was scheduled on the 27th (right after Brandstorm), so I already had the time to attend. 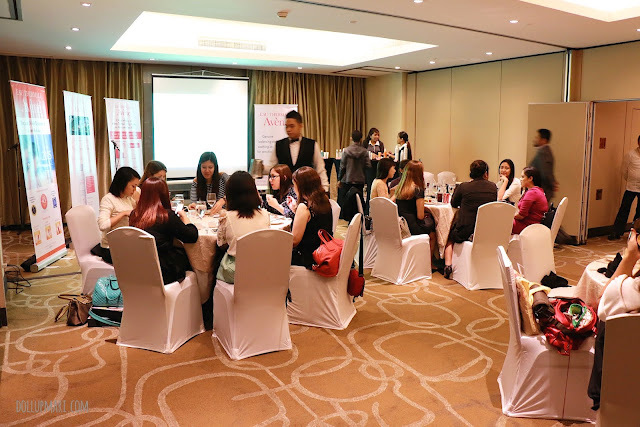 I would say that this event is a small, intimate event as there were only about 20 bloggers in attendance, and purely bloggers. There was no one there covering for the press. 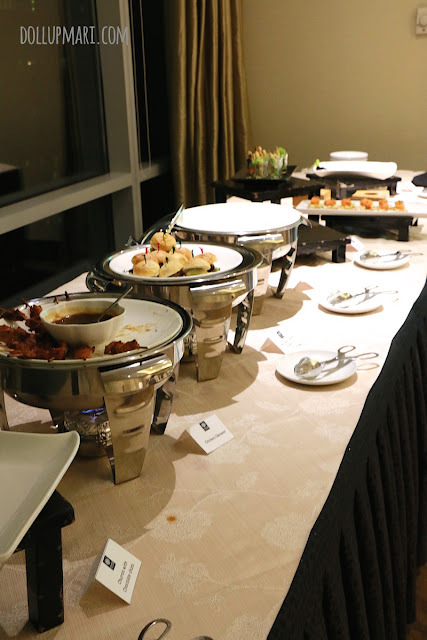 Before they began their talk they treated us to small snacks and hors d'oeuvres. I especially liked the chicken skewer. Or rather I liked everything because being so preoccupied with Brandstorm for so long, it's the first time I got to eat without thinking about what to to next hahaha. And here is the lovely Ms. Anna Talatala. 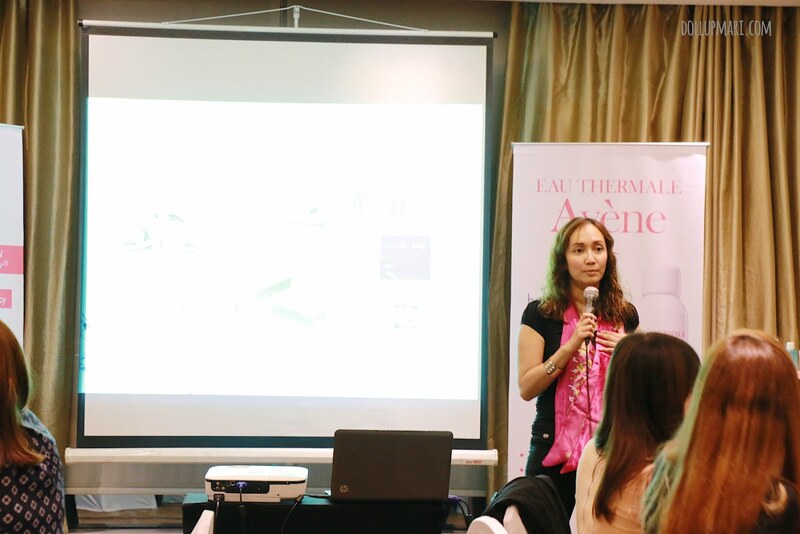 She is the managing sales director for the brand. 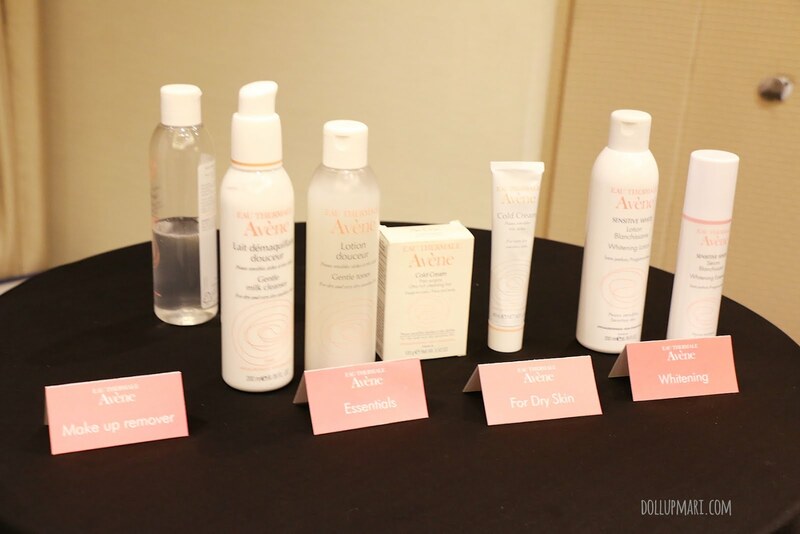 She gave an in-depth view of Avène, its parent company Pierre Fabre, and its history. 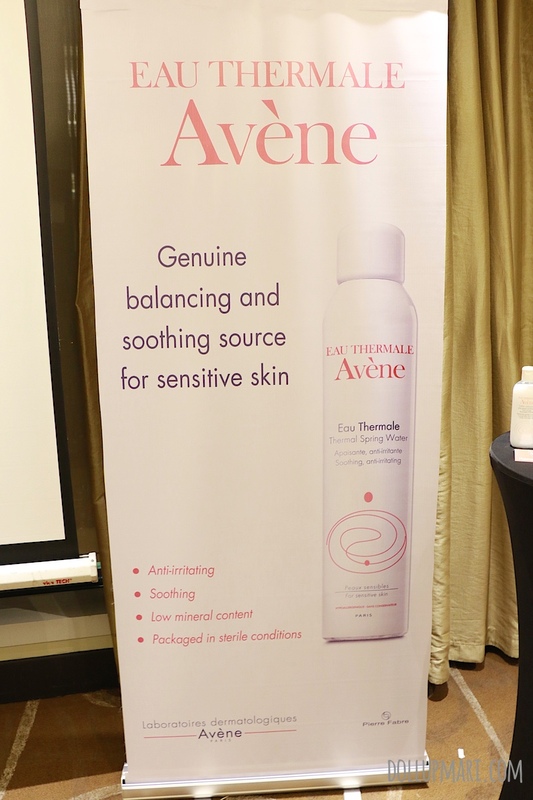 So for the terminology purposes, Avène is a brand of healing water-based skincare products that is sourced from Avène, a place in France. Their stronghold product, of course, is their special water sold in pressurized cans. I kid you not, the story of how Avène's water got its reputation comes from a horse. Yes, a horse. So in 1743, there was this rich man back then named Marquis de Rocozels. He had a horse who had a terrible rash, and out of fear that his other animals would get the rash, he set this horse free to wander off. The horse took baths and drank the water from this special spring, and came back months later to his master with a beautiful, shiny coat again. The rash was nowhere to be seen. The story spread like wildfire because well, horse. And it was then that doctors started recommending hydrothermal spring water from Avène to cure skin disorders. I asked Ms. Anna as to how Marquis knew that that was his horse who came, or that how did they know that the horse got cured from the spring. But well, these were jokes of course. What makes Avène water so special? Isn't this some other kind of Evian? I asked them this question, and the answer is that Evian is more of a drinking kind of water. 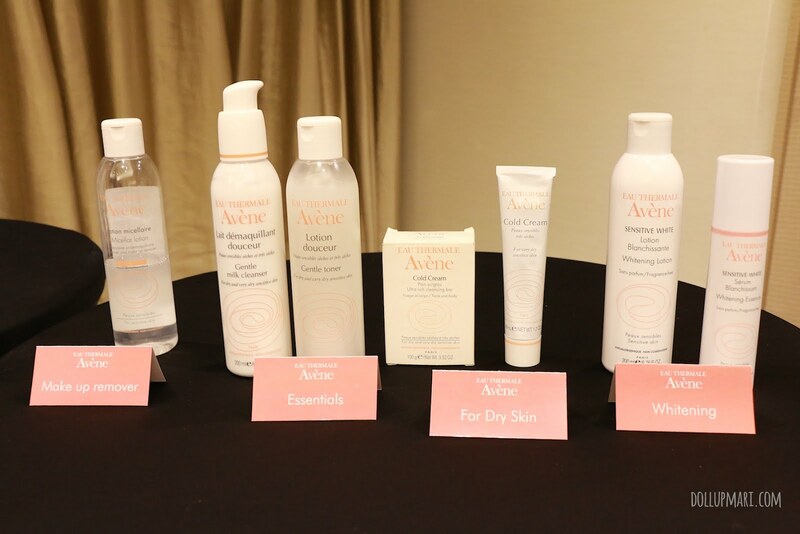 Aside from the fact that Avène and Evian are sourced from different places, Avène is for the skin and Evian is for the body. As in you drink Evian and it has a good amount of mineral crystallizations to give the body the nutrients that it needs. You drink it and you become healthier. 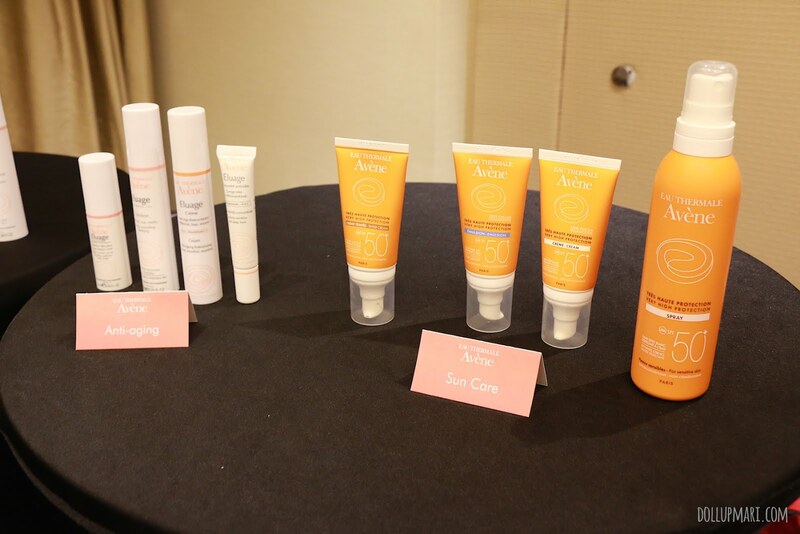 However, the skin, specifically, has different needs compared to the internal organs of the body. Our skin needs water that is less mineralized because too much minerals will make our skin dry. This is where Avène comes in. It's got minerals, but with low crystallization and the right amount, so the skin ends up nourished but not dry after usage. 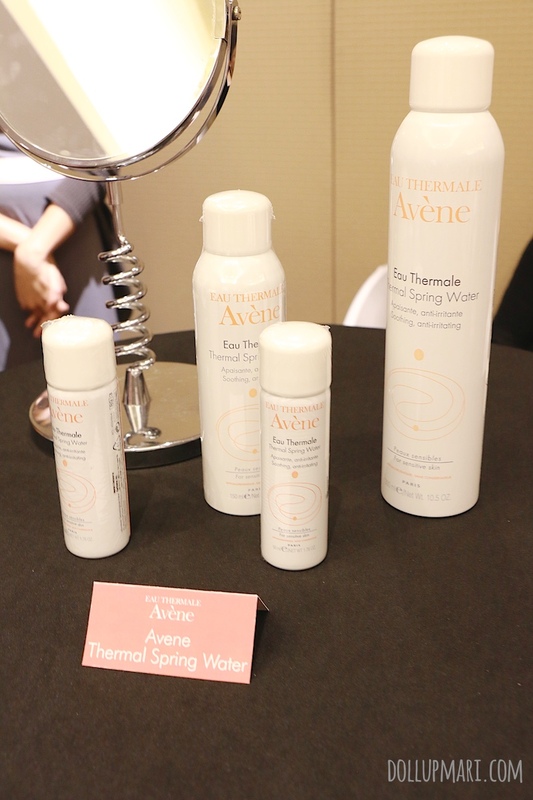 Avène water has a balanced pH of 7.5, contains iron, manganese, zinc and copper, and has an ideal calcium to magnesium ratio of 2:1. They say that Avène water is healing water. It's not distilled water, it's not deionized water, it's not legit mineral water either. It's a different kind of water in its own right. 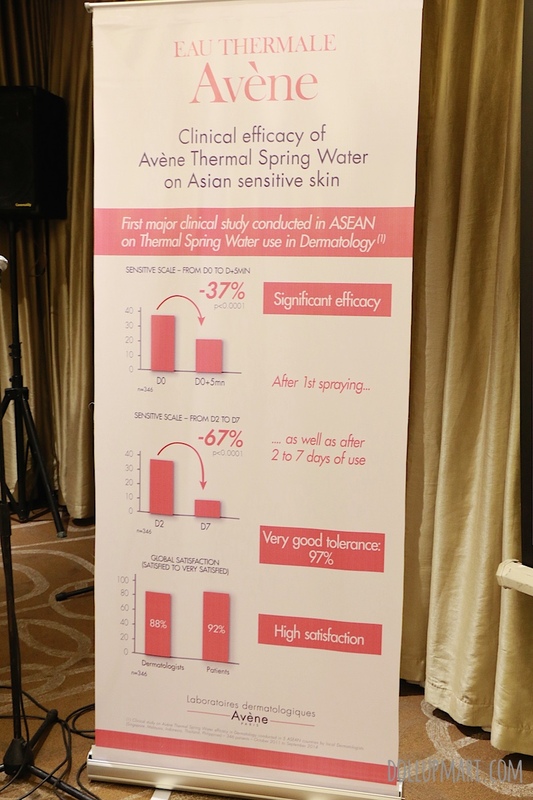 As for why it can heal eczema, psoriasis and dermatitis, actually even the folks of the brand don't know. The company has been studying the water for so long and still hasn't found the reason why. They're thinking that it may be that the magnesium-calcium ratio is perfect, or that there may be some special bacteria culture that gets into contact with the water on its descent from the mountains that is causing the regeneration of the skin, to even theories that there must be some holy water from Lourdes that makes it to the spring which is why it's so miraculous. They actually do have a hydrotherapy center in France that treats people with difficult skin disorders. They showed a video of the journey of Denise and her dad. 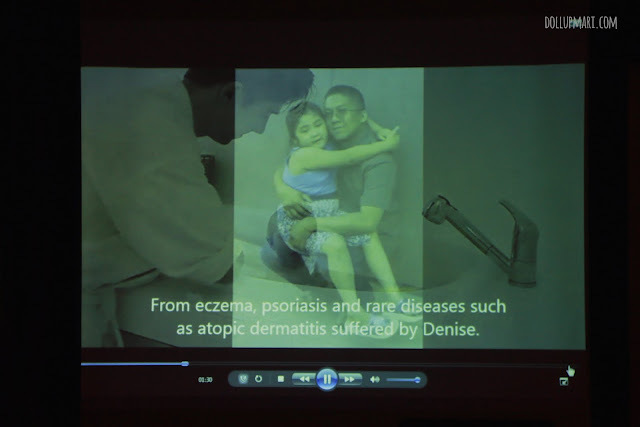 Denise is 7 years old but has had a lot of stress to deal with already due to her severe atopic dermatitis (skin asthma). They brought her to the hydrotherapy center in France for treatment. 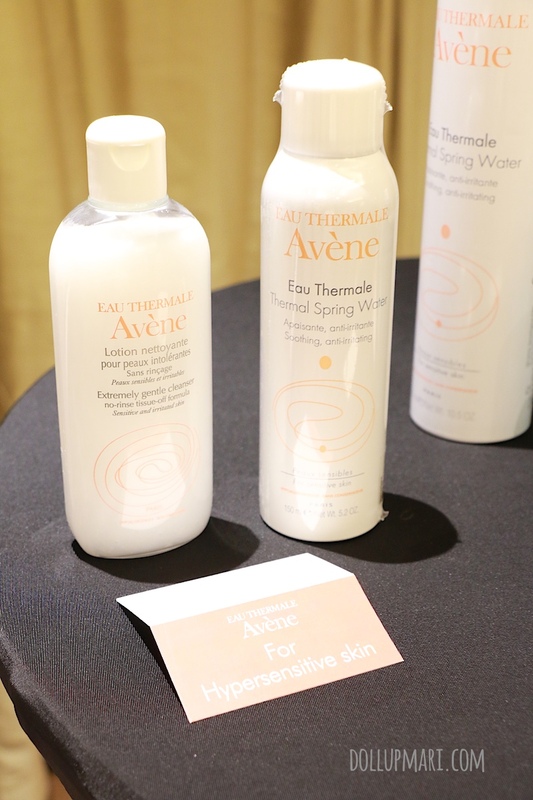 Her treatment involves bathing in a jacuzzi filled with Avène water, lying down with Avène water moistened sheets on her body, and getting massaged with Avène water mists as the medium. To the curious folks, three weeks worth of treatment at the center is worth 20,000 euros. And they sponsored Denise. That's how generous they are. And of course it's also time to check out their products. 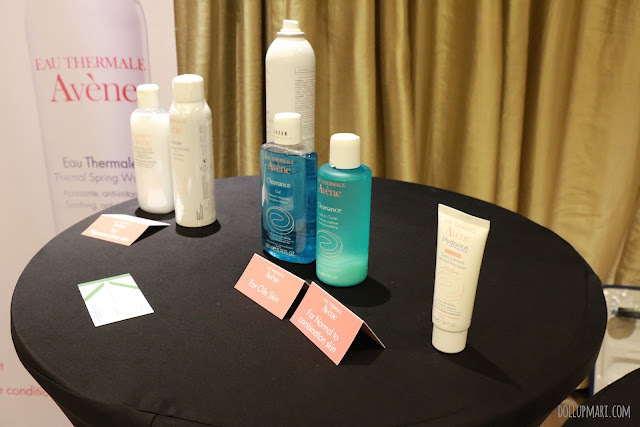 They have quite a lot of products when it comes to skincare, and have products for extra sensitive skin. And here are the tarps they set up with more information about their spring water. So here's the team behind this event. This is a mix of people from Avène and people from the PR agency that handled this event.